For so many people, a President’s legacy is often first viewed in how their time in office finishes up, with the central question being, “did they get re-elected?” Clearly for the nation’s 41st President George H. W. Bush, that answer would be a no. After a rousing 1988 campaign where the candidate boldly declared “Read my lips… NO NEW TAXES“, the realities of office led him to break that promise, and paved the way for a defeat by Bill Clinton in 1992. But as history marches on, Americans are less bitter about Bush 41’s tax increases, and look more fondly on his time in the White House, along with all of the accomplishments he achieved. First, it’s important to note that Presidency is only 4 years of this great American’s life. After the attack on Pearl Harbor, Bush served our country valiantly in World War II… one of a precious few remaining veterans from that time. He even survived a harrowing attack that saw his plane shot down over the open ocean, and looks back on that day as a second chance at life. Political differences aside, no one can question Bush’s bravery and dedication to his country. He is the last living President who is also a veteran of World War II. After the battle field soon came the oil field. 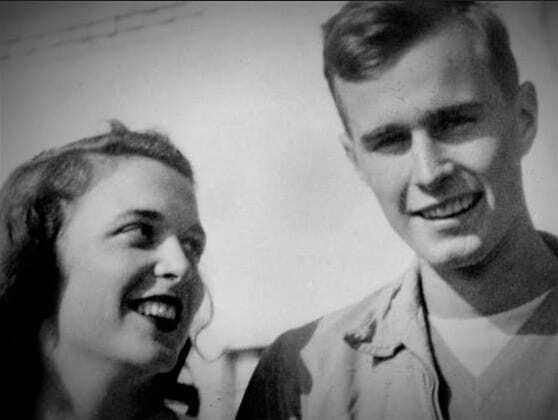 Bush returned to Yale University, and while studying there he and his wife Barbara Bush (whom have now been married an astounding 69 years!!) welcomed their eldest son George W. Bush into the world. Then they set off for Texas, where Bush quickly made a fortune in the oil business. An entry into politics would lead Bush to represent Houstonians in the United States Congress, after a failed run for the United States Senate in 1964. At that time, Texas a was a Democratic stronghold, and the Republican Bush was unsuccessful achieving statewide office. But being a prominent Texan for the GOP, Bush was a valuable asset to the party. As a result, President Nixon appointed Bush to serve as United States Ambassador to the United Nations, and other cabinet positions followed. Though he was never elected statewide, a series of high-profile appointments would forge a path for Bush to the Vice Presidency, and the White House. As President, Bush 41 had his ups and downs, but also some great achievements. In 1990, he worked with a bi-partisan coalition in Congress and passed the landmark Americans with Disabilities Act. It was the most comprehensive expansion of Civil Rights since the 1960s, and gave unprecedented protections to the disabled. As Bush stated upon its signing, the ADA was “the world’s first comprehensive declaration of equality for people with Disabilities.” The ADA also paved the way for similar legislation to be enacted all over the world. 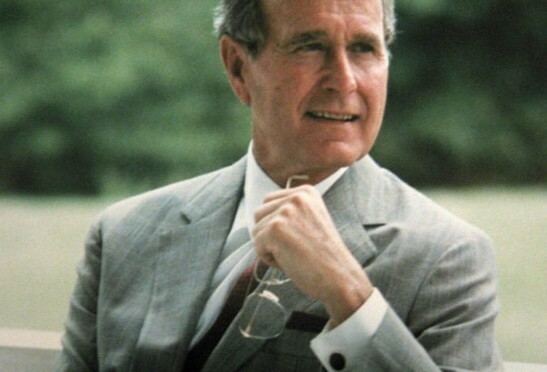 For these, and a whole host of other amazing reasons, Texas Leftist is proud to celebrate the 90th birthday of President George H. W. Bush, and wish the very best for the Bush family on this special day. Happy Birthday Bush 41! !